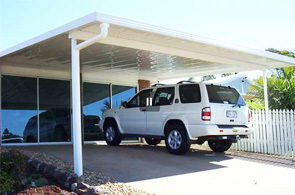 Our locally owned family business was established in 1989, and has since grown to be the largest outdoor patio building specialists on the Darling Downs. We offer quality service, friendly specialist advice, backed by the most comprehensive range of quality patio roofing systems, and outdoor products to compliment your area. We specialize in creating outdoor areas that are purpose built to our customers’ requirements, from small budget patios to large scale domestic and commercial projects. Come in to our Display Centre for some inspiration and friendly free design advice, or alternatively let us come to you. With over 25 Years Experience, and the winners of National, State and Local Awards, we are confident that together we can design an addition to your home that suits your architecture, lifestyle and budget.